Intent on his own business, this guy has places to go, people to see and things to do that probably have nothing to do with us, unless, of course, we’re carrying a picnic lunch. 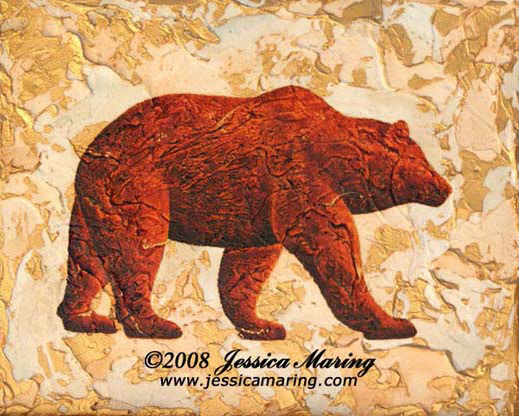 People have been painting bears forever. The photo to the right is of a painting done about 30,000 years ago on the walls of the caves at Chauvet, France.